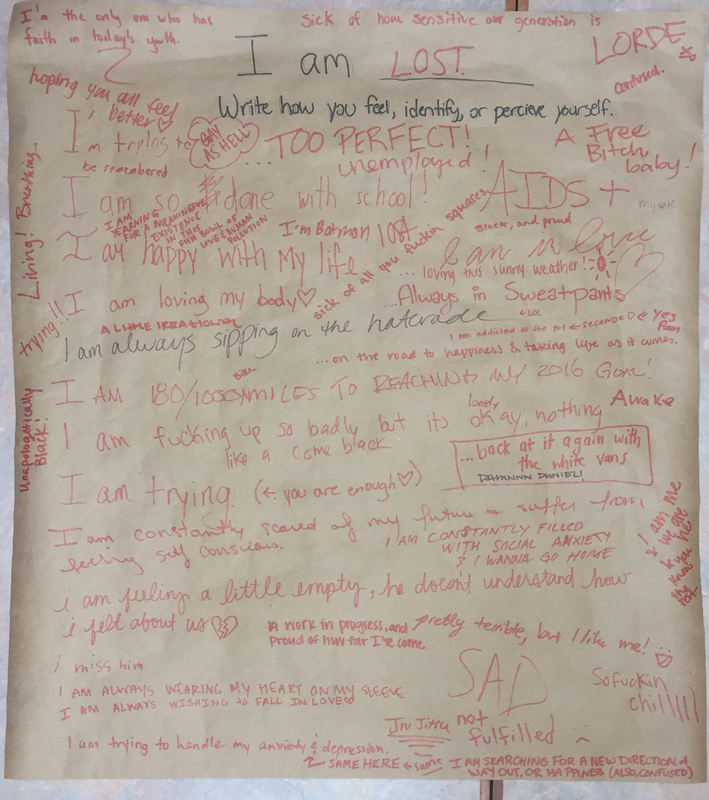 For the past few weeks, Amendment’s Art Committee has maintained the I-Am Project, where a series of identity-centric posters were hung in the hallways of VCU’s buildings. 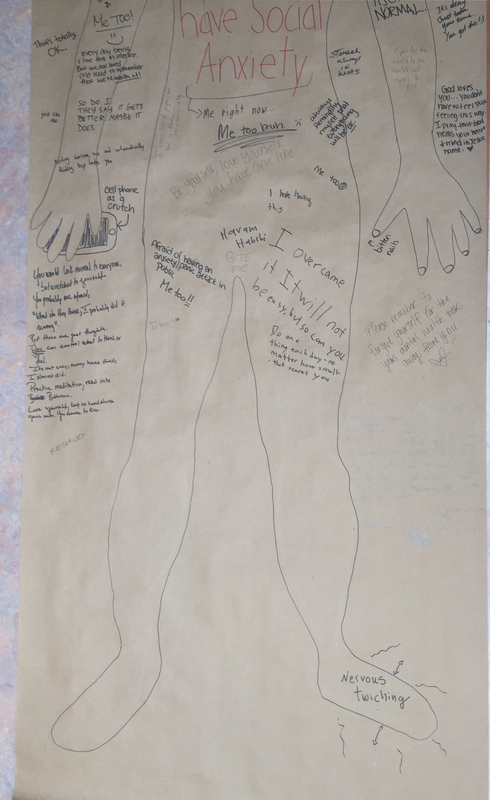 Each poster featured a different identity (such as “I am a Virgin”, “I am Black”, “I am Transgender”, etc.) 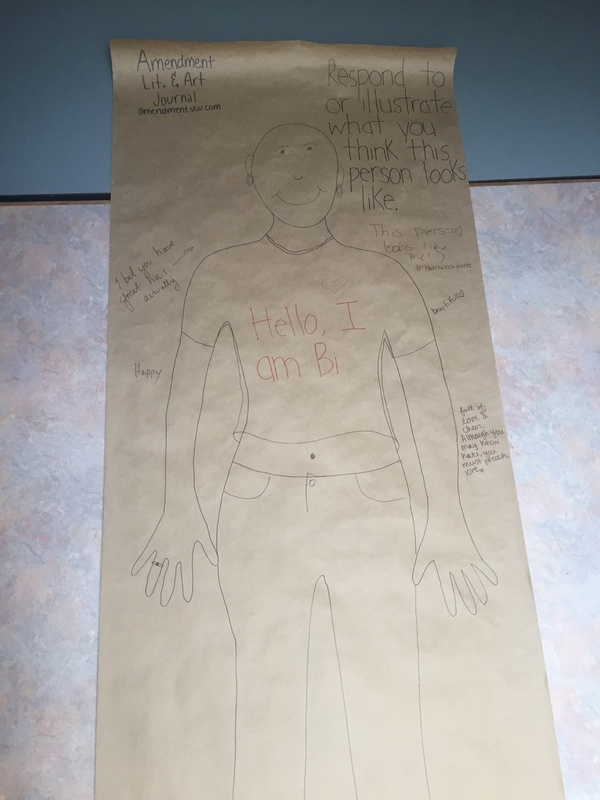 within the blank outline of a person, and passersby were encouraged to write or draw their thoughts on how such an individual with said identity would look like or be perceived as. Some identities, such as Black and Bisexual, were met with general acceptance and positivity by the VCU student body. Some responses included. 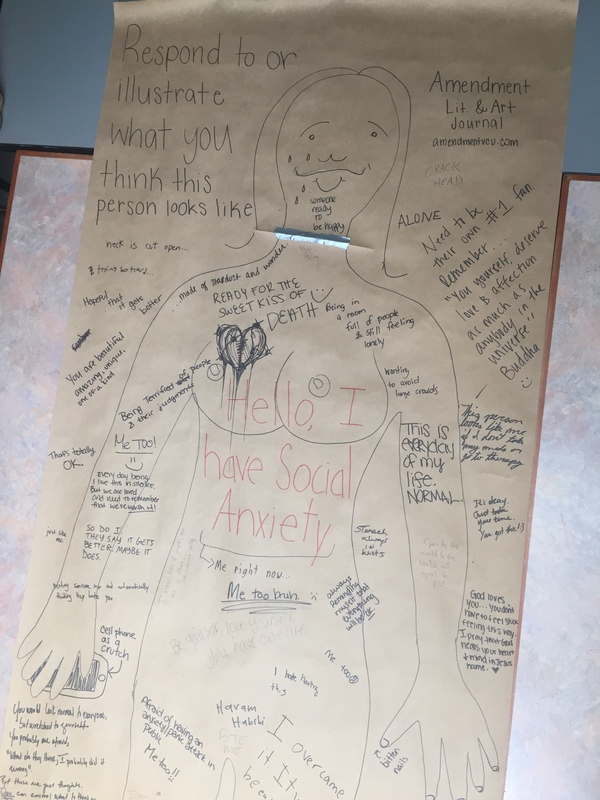 The Social Anxiety poster had one of the most active discussions, with people chiming in not just with acceptance, but also with their own experiences and examples of their social anxiety. It was remarkable to see not just the volume of responses, but also the interactions between commenters. 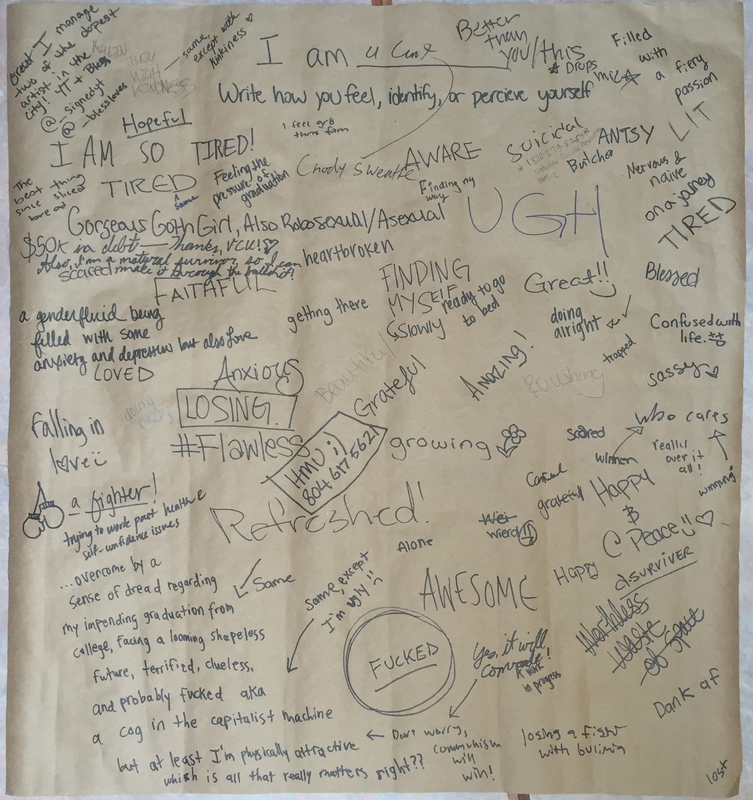 People wrote back and forth, reassuring each other and providing encouragement and advice. 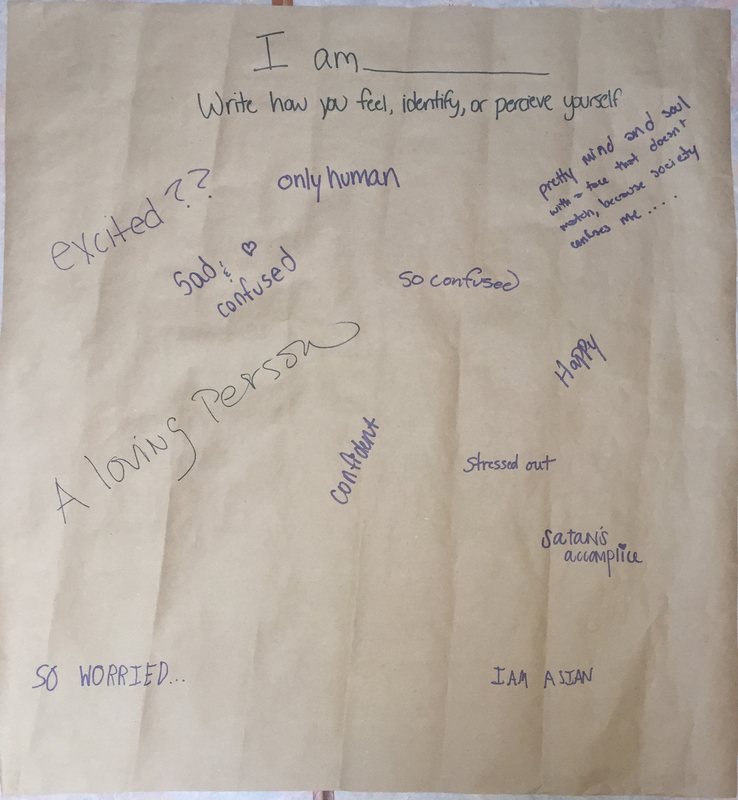 The I-Am Project not only gave a spotlight to those with these identities, but also created a forum of discussion for people through the anonymity of the poster. 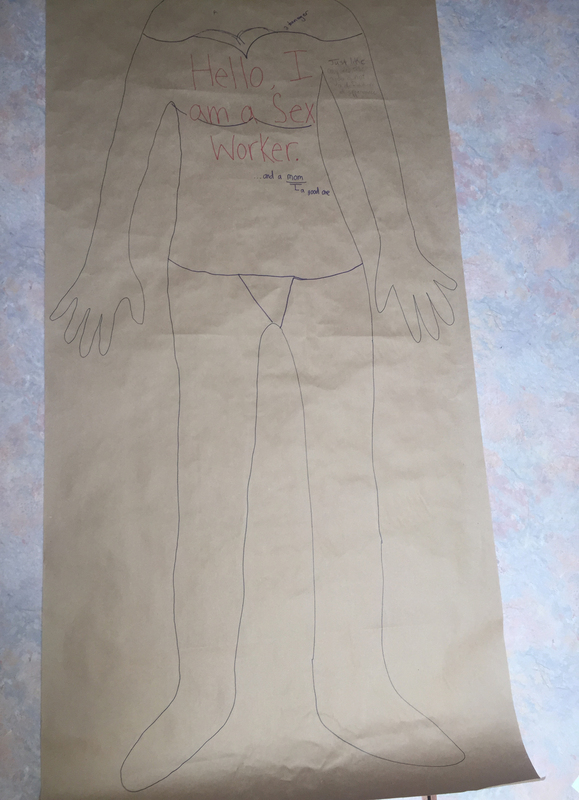 The discussion involved even further on the identity of Transgender. 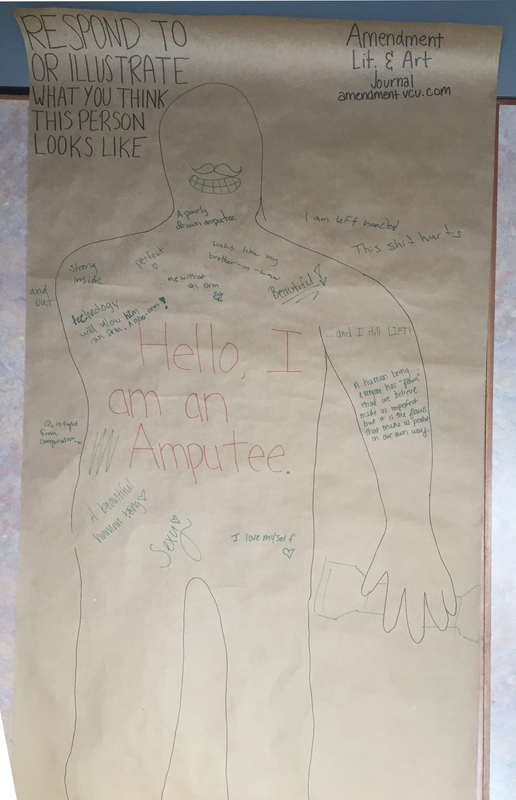 However, Amendment would like to provide clarification and an apology for this particular poster. 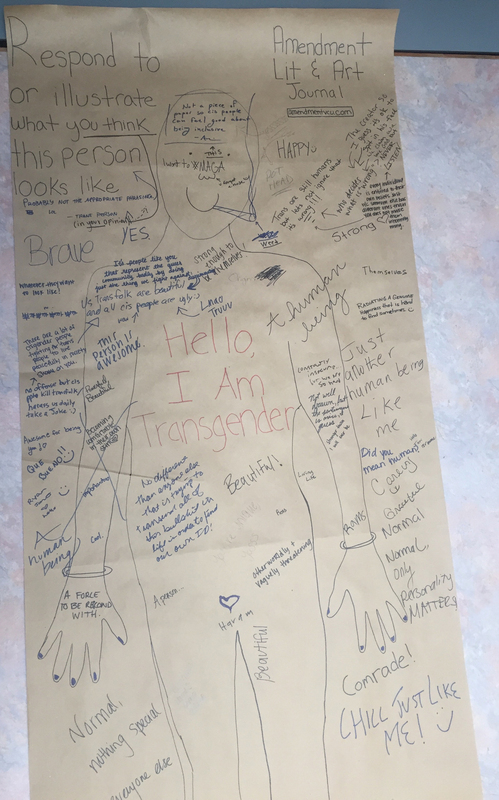 The goal of the I-Am Project was to invoke responses to the topic of transgender, and it was not our intention to set the standards of transgender when it is not the public’s place to do so. 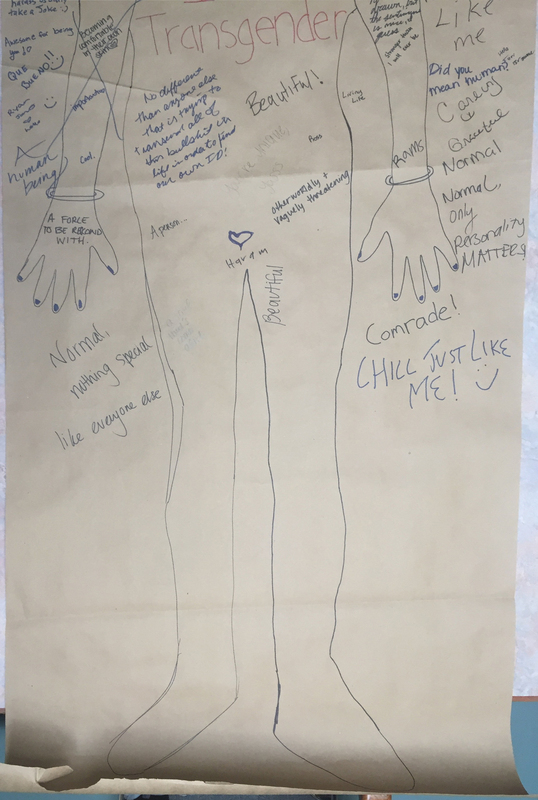 The instructions of the I-Am Project asked for people’s responses of what they think of certain identities, but the phrasing of the instructions on the poster implied that for transgender people, their perception and appearance is dictated by those around them. As pointed out by commenters on the poster, the public is not responsible for how an transgender person identifies as their gender, whether it be boy, girl, or non-binary. They also don’t have to “pass” in the eyes of others in order to be a certain gender; the only requirement is that the individual choose to identify as that gender. We at Amendment apologize that the poster was unclear, and appreciate the dialogue between participants discussing this. The I Am “_______” posters encouraged free thought and response to how passersby were feeling at the time of interaction, and these posters had the largest and most varied body of replies. 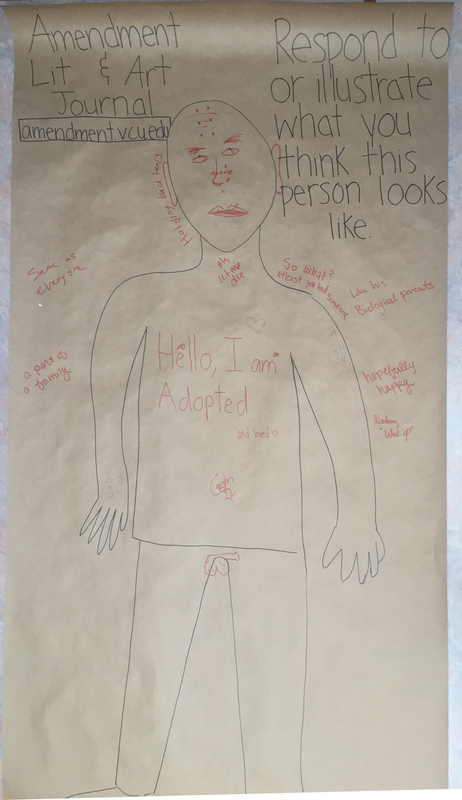 The responses ranged from positivity to brutal honesty, from humorous to almost confessional in nature. 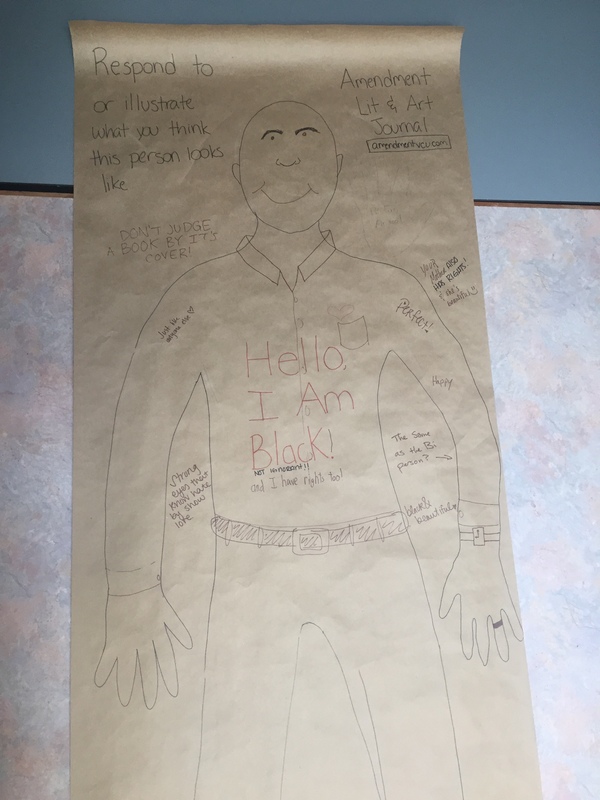 The diversity most certainly reflects not just the student body, but also the open dialogue among young people as they wrote back and forth across the poster.